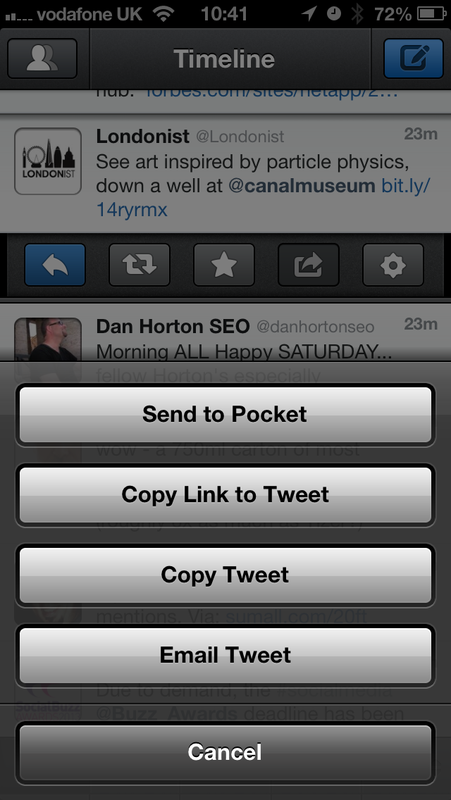 My favourite mobile Twitter client is Tweetbot. My favourite freemium social media tool is Buffer*. But they don’t work together, despite long-standing demand from the user base. There is a workaround though and I’m an idiot for not realising it earlier. Buffer has a great email capability, but the email needs to be in a particular format: text in the subject, link in the body. 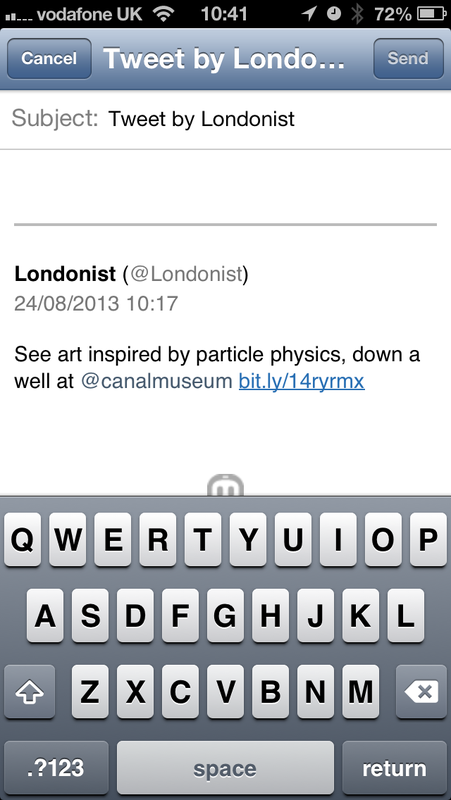 Emailing a tweet from the Tweetbot’s timeline puts ‘Tweet by X’ in the subject, then the tweet (including any links) in the body. So you can bugger around with it to get it in the right format, but that’s annoying and inefficient. 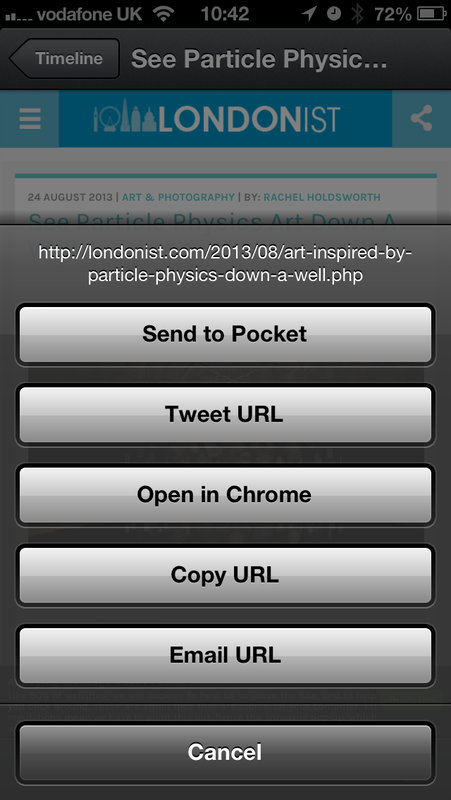 However, if you open a tweet’s link in Tweetbot, then click ‘Email URL’, the format is different, and perfect for Buffer. 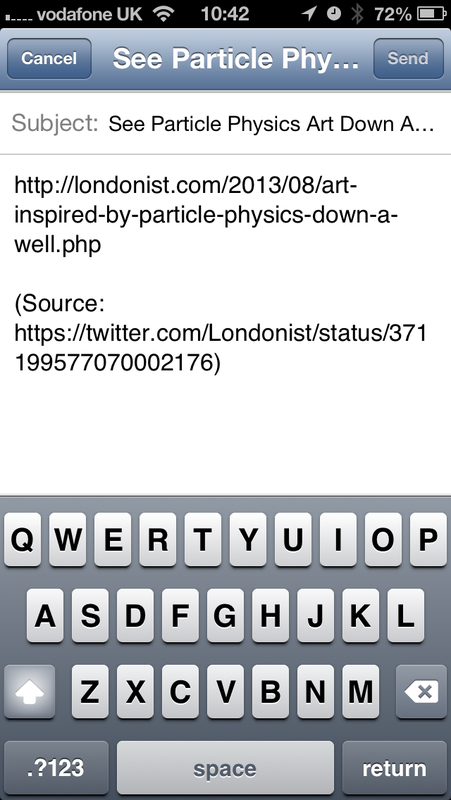 The original tweet is in the subject and the link in the body. Hurrah! Make any adjustments you wish, and send to your special Buffer email address. * Obviously, my favourite enterprise level social media tool is Adobe Social.